Are You Ready To Grab An Opportunity? 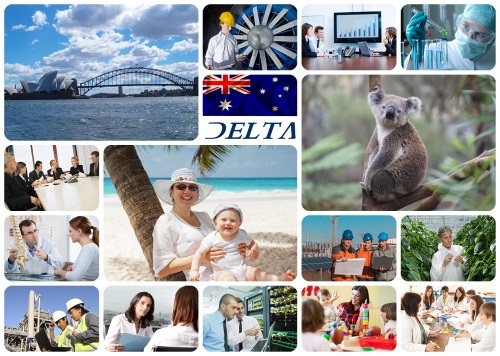 Many Australian businesses are struggling to find skilled people, it may be the best time for you to immigrate, work and live permanently in Australia. according to Credit Suisse Group Australians are the richest people in the world. Australia's minimum wage is the highest in the world. Australia has one of the lowest unemployment rates in the developed world. Four of the top ten world's most liveable cities are in Australia and Melbourne has been ranked by the Economist Intelligence Unit as the World's most liveable city for the fourth year in a row. Australia has been ranked as the 4th freest economy in the world (Source: heritage.org). Skill Select EOI Invitation Results for 11th April 2019 have been published. 189 EOI Invitations 11/08/2018: The 11th of August 2018 SkillSelect invitation round Unofficial results. New Short-term Skilled Occupation List (STSOL)- University Tutor may be added to STSOL in Jan 2018. New South Wales (NSW) Skilled Migration occupation list for 2017 2018 released. Engineers Australia will accept the Pearson�s Test of English Academic (PTE Academic). Canberra (ACT) Skilled Migration occupation list released July 2017. South Australia Skilled Migration occupation lists released July 2017. Australia released new occupations lists for General Skilled Migration (MLTSSL and STSOL) in July 2017. 189 EOI Invitations 15/03/2017: Results of invitation round 15th of March 2017 have been published. 189 EOI Invitations 1/03/2017: The 1st of March 2017 EOI SkillSelect invitation round results have been released. 189 EOI Invitations 1/02/2017: The 1st of February 2017 SkillSelect invitation round results have been released. 189 EOI Invitations 18/01/2017: The 18th of January 2017 SkillSelect invitation round results have been released. 189 EOI Invitations 4/01/2017: The 4th of January 2017 SkillSelect invitation round results have been released. 189 EOI Invitations 21/12/2016: The 21st of December 2016 SkillSelect invitation round results have been released. The updated SkillSelect 7/12/2016 round results has been released. Invitation round in August 2015 - The letters of invitation are issued today. NSW State Nominated Occupation List - Update: Urban and Regional Planner and Dentist are removed from the List. New SOL CSOL lists in July 2015 - Dentist, Dental Specialist and Urban and Regional Planner removed from the SOL list. Cabinetmaker and Panelbeater added to the list. South Australian State Nomination List � High Availability for Vocational Education Teachers (Non-Trades). South Australian State Nomination List � Update. 51 countries have been added to the eligibility list for electronic lodgement of Visitor visa. Opportunity for software engineers: Mid North Coast region (NSW) is currently inviting applications under the 489 visa.